Informed by a search of the literature about the usage of genetic testing information (GTI) by insurance companies, this paper presents a practical ethical analysis of several distinct public policy options that might be used to govern or constrain GTI usage by insurance providers. As medical research advances and the extension to the Human Genome Project (2016, https://en.wikipedia.org/wiki/Human_Genome_Project_-_Write) moves to its fullness over the next decade, such research efforts will allow the full synthesis of human DNA to be connected to predictive health dispositions. As testing costs fall, there will be ever more pressure for citizens to disclose GTI. Genetic testing information is integral to future medical care because it can be used to better assess individually tailored medical therapies as well as to allow a more informed risk analysis by the insurance industry, which in some countries such as the USA underwrites a majority of citizen medical expenses. As discussed in this examination, the revelation of people’s uniquely personal GTI to insurers has enormous societal implications. The major contribution of the paper is to offer policy makers and concerned citizens a nuanced articulation of the basic options to regulate GTI, with a special consideration for ethical fairness and equity. As genetic-based medicine blossoms and pressures to reduce healthcare costs increase, there will be an ever greater impetus for countries to revisit their genetic testing policies. 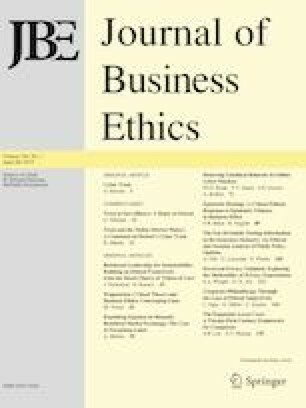 Organizations and policy makers striving to create GTI oversights perceived to be both “fair and effective” need to be aware of the ethical perspectives discussed in this paper. The commitment to equality embodied in our political tradition…is an assertion that before this government, this system of laws and courts, all persons are to be given equal standing, and all persons must be treated with equal regard. Human genetics, in contrast, is a science of inequality—a study of human particularity and differences. Thomas H. Murray (1992, 12). All authors have no potential conflicts of interest. Human Genome Project/Write. (2016). Wikipedia.org https://en.wikipedia.org/wiki/Human_Genome_Project_-_Write. Accessed October 28, 2016.